Dispatched each day at dawn, Odin’s two ravens fly the world over, bringing news from the land of men back to the Norse god by nightfall. What secrets do they gather as they spy from on high, or scavenge from the leavings of men? 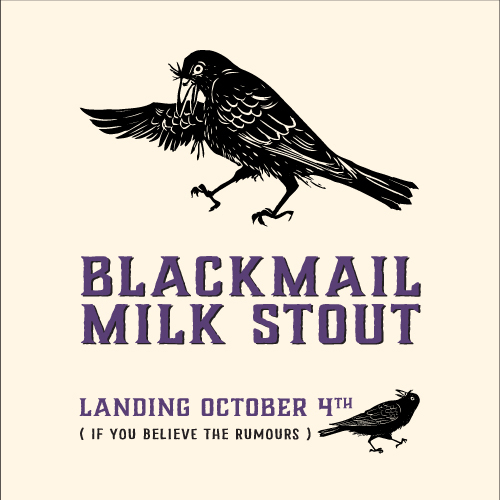 Next time the black birds call outside your door, perhaps a glass of Blackmail milk stout – with its rich, round & slightly sweet character – will still their extortive tongues.